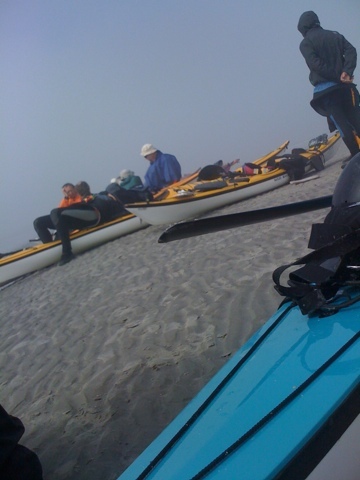 The fog came rolling in from the Nort sea just before we had planned to starr our last leg of the trip. Fron Schiermonnickoog to Engelsmaplaat to Holdwer Harbor over the Waddensea. The Coast Guard will not let us leave.